Andrew Potatoface, the fussy-eater's friend. Andrew Potatoface, the fussy-eater’s friend. Deep into the ‘terrible twos’, my daughter is pretty much refusing all vegetables. Spinach (in the form of spinach quiche) is the only green that passes her lips. I’ve thought about disguising the good stuff à la ‘chocolate and broccoli cupcakes’ but decided against it; I don’t want to create a twenty-year-old who’ll only eat broccoli in cake! So I’m persisting – the vegetables are served every night and she sends them back to the kitchen every night. Perhaps we need to invite Andrew Potatoface to dinner. Andrew Potatoface was written and published by Debbie O’Connor, a mother of two who was frustrated when her children would not eat their dinner. Sound familiar? 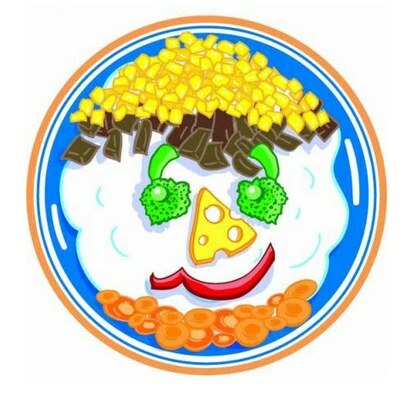 Based on the concept of making up a face on a plate, O’Connor created Andrew Potatoface, a character that sparked her children’s interest in eating their vegetables. It seemed that eating pea ‘eyeballs’ and capsicum ‘mouths’ was fun! Andrew Potatoface not only makes meal times more interesting, he also encourages children to try new foods. As the story progresses, more of Andrew’s potato face disappears, the healthy eating message is repeated and the colours of different foods are highlighted. The book is aimed at children aged two to six years old and is available directly from Andrew Potatoface for $19.90 (including postage).